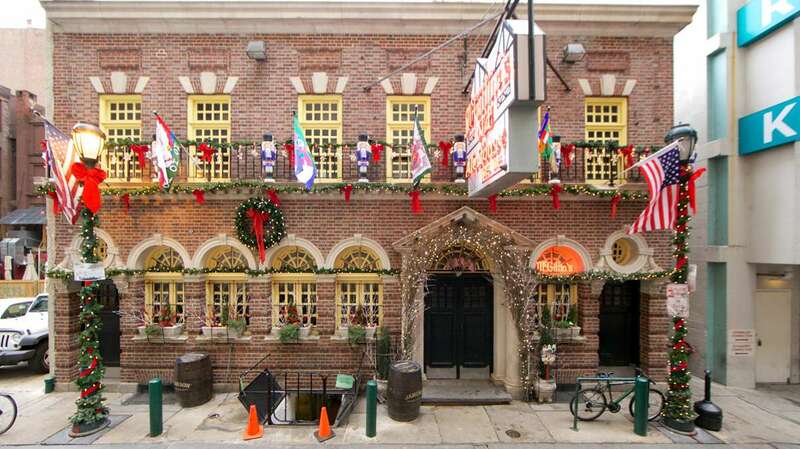 Just steps from the hustle of Midtown Village is Drury Street — home to Philadelphia’s oldest tavern and the family charged with keeping its history alive. 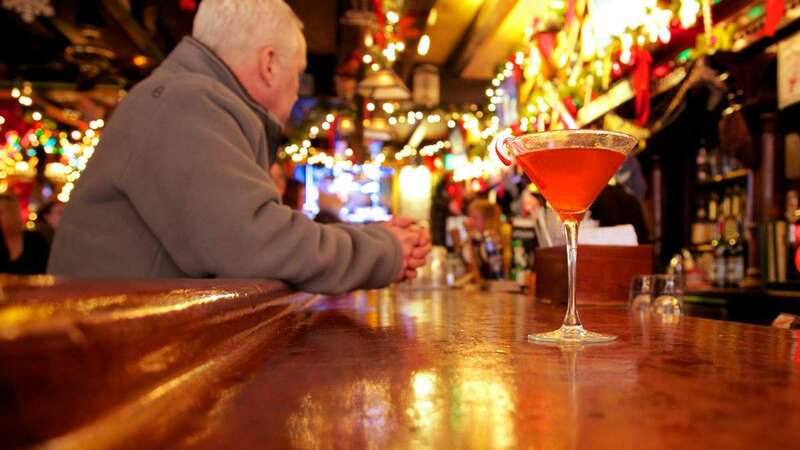 Just steps from the hustle of Midtown Village is Drury Street — home to McGillin’s Olde Ale House, Philadelphia’s oldest continuously operating tavern, and the family charged with keeping its history alive. For general manager Chris Mullins, Jr., a third-generation owner, family and tradition keep the holiday spirits high. 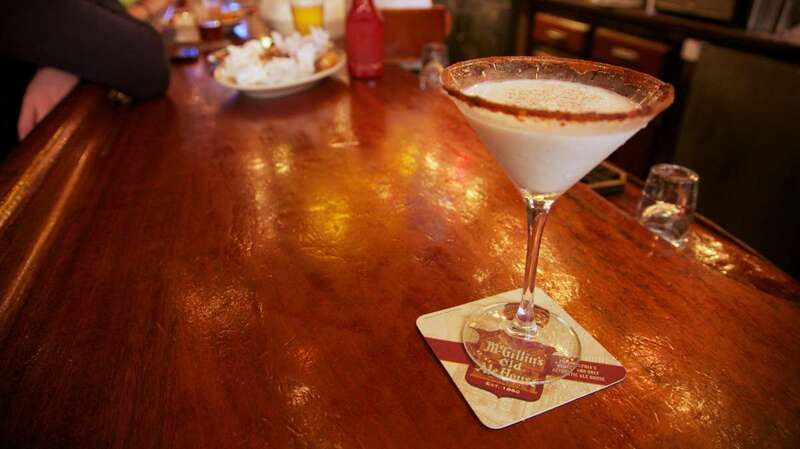 Throughout the holidays, McGillin’s offers a special menu of festive favorites for loyal customers and first-timers alike. 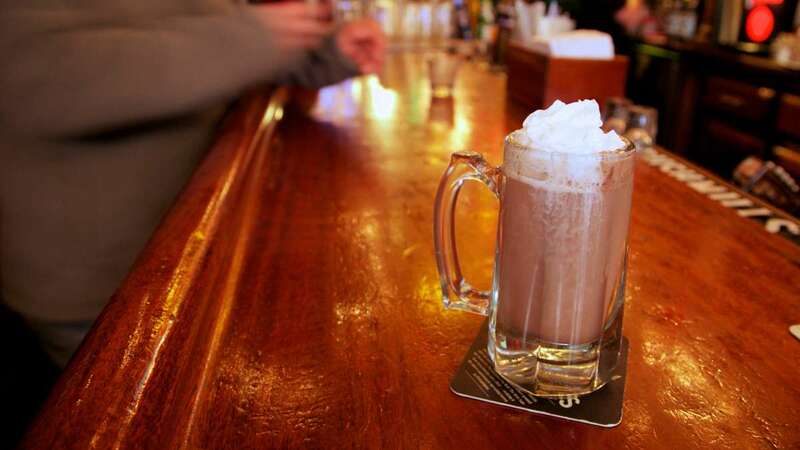 This year includes an egg nog martini; a poinsettia, which is champagne, cranberry juice and Cointreau; cider; and the Drury sleigh ride, an adult hot chocolate beverage. Decorating the triple-wide property requires 1,000 ft. of garland, 1,000 ft. of lights, 200 ornaments and 150 red bows. It takes more than a dozen employees two days to decorate both floors and the exterior. And while the decorations this time of year are by far their most elaborate, the spirit continues all year long. “It keeps our staff and customers excited,” he said. Mullins, Jr., says his family has an approach that keeps the employees happy and the customers loyal. 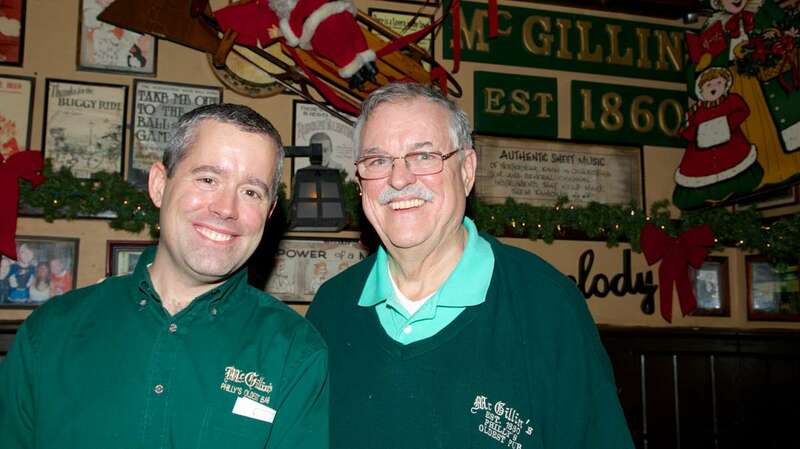 Chris Mullins, Sr., who purchased McGillin’s from his wife’s father and uncle in 1993 has some theories about why that is. “We’re always true to who we are,” he said. “In other words, this place is ‘McGillin’s Olde Ale House,’ so this is about beer. We sell a lot of beer here, and that’s our No. 1 focus in terms of product. “The other thing that keeps it going so well is we’re hands on. My wife and I are here. My son’s here. We make sure that every customer is satisfied. 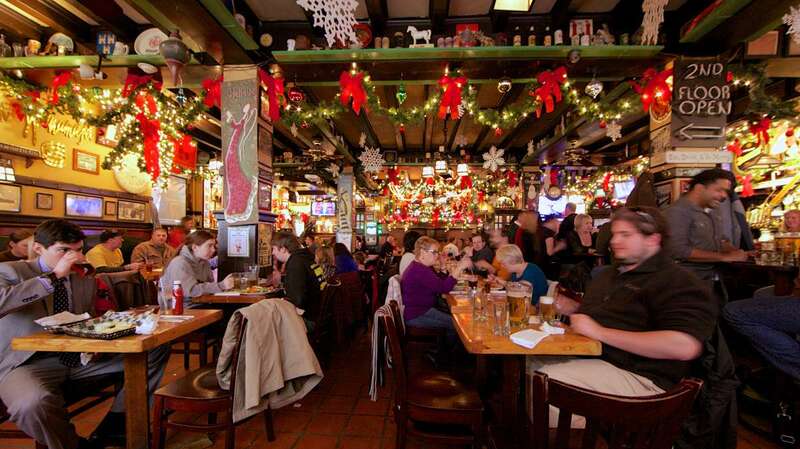 There’s nothing quite like the nostalgia at McGillin’s. And as the stewards of the property’s history, the Mullins family keeps the story alive. “Pretty much anything that anyone knows of McGillin’s, in terms of the visuals and architecture, is from 1909,” explained Mullins, Jr. The tables are communal, as they’ve always been, and the walls are covered with photos and articles dating back over a century. “You never know who you’ll sit next to, and you never know what kind of friends you’ll make,” he said. The original sign is in place above the bar. And tucked up in the rafters are the original liquor licenses dating back to 1860. Originally called The Bell in Hand, the tavern opened 153 years ago in what was a small rowhome. Over time, the McGillin family acquired the properties on the adjoining sides — delineated by the columns still seen on the first floor — and in 1909 expanded into its current space. In 1958 the McGillin family sold the property and the business to the grandfather of Mullins, Jr., leaving their legacy to a new lineage. “Of the next generation, the eldest is five,” said Mullins, Jr., “so, we haven’t yet tested his knowledge of beers.” But the family tradition is sure to continue, he says.